Choosing an HVAC system for your home can be a daunting task. When you consider these five important factors as you do your research into the right products and services for you, you will make a wise decision. The efficiency of your HVAC system is crucial to your home’s comfort, as well as your energy usage. Before you buy a furnace, you should learn more about the Annual Fuel Utilization Efficiency rating, as this rating demonstrates how much of your fuel goes to heat your home. When it is time to purchase a new air conditioner or heat pump, you want to know about the Season Energy Efficiency Ratio, which shows the machine’s overall efficiency in the home. The different climate between regions highlights the importance of getting recommendations relevant to your area. People living in areas with cold winters like ours spend more of their money on heating than cooling. If you have to select between a more efficient furnace and air conditioner, you may find it a wiser choice to focus on the furnace. When it comes to HVAC equipment, the initial price is only one part of the equation. You should also factor in the expenses you will pay for utility bills, as well as service and repair over the lifetime of the system. Buying a machine with higher efficiency will cost you more at the outset, but the long-term savings in energy consumption often makes up for this difference. A system is only as good as its installation, so making sure that you make the right choice in your contractor can significantly improve your HVAC equipment’s output. An experienced, qualified contractor knows how to select properly sized equipment for your home and ensure an effective installation, helping to guarantee a good, long life for your HVAC system. Contractors are also useful in assisting you with the complicated but routine maintenance of the machines you purchase. There are a few tasks you can easily perform without a great deal of training. However, having a professional you can call for seasonal maintenance or repair concerns keeps you comfortable at home, with equipment that will last longer. 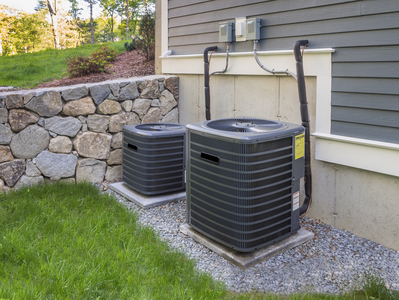 Once you know what to look for, you can finalize your decisions for HVAC equipment in your home. With research and assistance from a professional, you can enjoy a more comfortable abode.